Schwegman is happy to announce the recent hiring of patent agent, Jordan Golomb. Jordan’s focus is on the mechanical, medical, electromechanical, and automotive arts. Jordan brings a unique perspective to being successful in the patent process. Driven by her personal interest in innovation, Jordan was drawn from engineering to inventing to patent law. Jordan learned patenting from the inside out while working as patent examiner at the U.S. Patent & Trademark Office (USPTO) in the areas of biomedical diagnostics and motor vehicles. 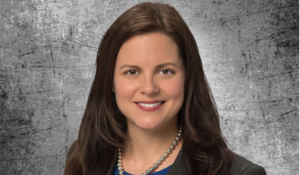 Prior to working at the USPTO, she spent several years working as an engineer at Chrysler where she gained knowledge about almost every vehicle system and developed a particular expertise in crash safety. Jordan has always been an optimist and a tinkerer and is an inventor herself. Her unique perspective helps her to understand each of the stakeholders in the patent process, and to identify and implement strong, efficient paths to patent protection.